Shandong Long Ji Stone Co., Ltd.
We also have QC team to control the each production flow to gurantee the best quality. Various Styles We just wanna offer you the best choice wholeheartedly. Because we don't want to hurt you and your customers' heart. Like marble, granite adds beauty, quality and ease of care to to any project, indoors and out. 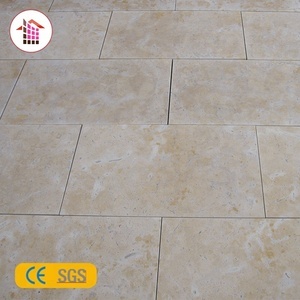 usually used to floor tiles, wall tiles, simple countertops, paving stone , kerbstone, etc . Granite countertop Parts Granite/marble wall /floor tiles Our Service Pre-Sales Service * Inquiry and consulting support. 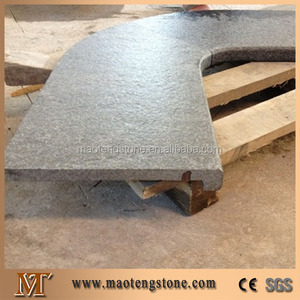 the curved granite pool coping stone or interior corner pool coping stone or exterior corner pool coping stone. 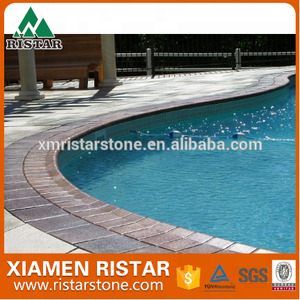 Chine Stone offers a wide range of Swimming Pool Coping Stones in different colors, materials and finishes. 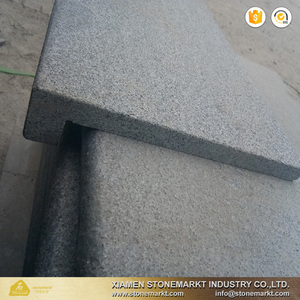 Keywords: Swimming Pool Coping Stones, Swimming Pool Coping, Stone Pool Coping, We have many kinds of popular sandstone or granite stone materials that can do for pool coping. We would confirm every details with you before production to avoid any mistake; b. Our cost man will select the right quarry and factories for your orders. c. 6--Guarantee:We guarantee to replace or refund any wrong or broken products that caused in our side. Surface finished Polished, Honed, Flamed, Bush Hammered, Chiseled, Antique, Brushed, Flamed + Brushed, Machine-cut, Sandblasted, etc. Anti-slipping types sandblasted stripe and grooved stripe Other material granite, marble,slate,limestone, welcome visit our website to see more material options or contract us for suggestion. Quality Control Thickness tolerance: +/-1mm Polished degree: : above 85 degree QC check pieces by pieces strictly before packing package strong packed with wooden crates MOQ 100m2, trial sample order also is available against renew pricing. Width for back splashes: 2'',4'',6'', according to your requirement. Island size:72x36,78x36,83x42,98x39, Width for back splashes:2'',4'',6'', according to your requirement. Thickness: 20mm(3/4''), 30mm(1 1/4''), Customized Granite Cube stone 50x50x50mm, 100x50x50mm, 100x100x90mm, 100x100x100mm, 200x100x100mm, Customized Granite Meshed cobble stone 500x500x20mm, 740x460x20mm, Customized Granite Paver 100x100mm,100x200mm,200x200mm,200x300mm, 300x300mm,200x400mm,400x400mm,500x500mm, 300x600mm,400x600mm,400x800mm,etc. is a modernized enterprise incorporates natural stone processing, production, sales and installation departments. We aim at supplying top quality natural stones and providing with professional service. We adopt complete sets of imported production flow line to process the stones. Laizhou Kingstone Co. Product Pictures: If you have any interested in our products . Waiting for your early reply! Inspection Packing & Shipping 2cm & 3cm Tiles Fumigated wooden crates with foam. 305x305x10mm(12"x12"x3/8") Fumigated wooden crates with foam. ) 457x457x10mm(18"x18"x3/8") Fumigated wooden crates with foam. 2,tile sizes available: a. 3,slab sizes available, a. 3cm or according to customers request. 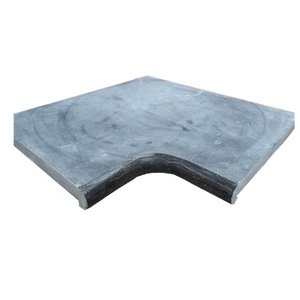 Alibaba.com offers 1,826 coping stone products. About 17% of these are limestone, 15% are granite, and 7% are marble. A wide variety of coping stone options are available to you, such as honed, flamed brushed, and polished. You can also choose from cut-to-size, tile, and big slab. As well as from black, yellow, and grey. And whether coping stone is paving stone, or other natural stone. 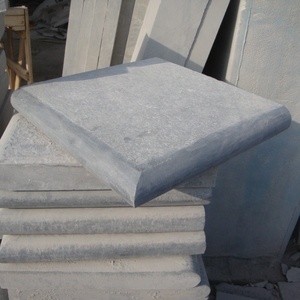 There are 1,770 coping stone suppliers, mainly located in Asia. The top supplying countries are China (Mainland), Turkey, and India, which supply 92%, 3%, and 1% of coping stone respectively. Coping stone products are most popular in North America, Western Europe, and Mid East. You can ensure product safety by selecting from certified suppliers, including 259 with ISO9001, 201 with Other, and 96 with ISO14001 certification.